The latest Boston-area tech company to join the $50 million-plus-in-venture-funding crowd is Visible Measures. The video analytics and advertising startup has just raised $21.5 million from DAG Ventures, Advance Publications, General Catalyst, Mohr Davidow Ventures, Northgate Capital, and new investor Common Fund. Visible Measures now has well over $60 million under its financing belt, so it should be considered one of Boston’s biggest technology bets. 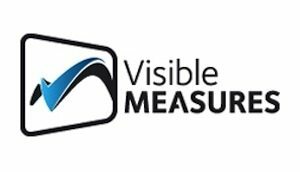 Visible Measures also has one of the more compelling growth stories around. The company started in 2005 and has been building video analytics technologies for advertisers and publishers. “It’s taken longer than I thought, but we’ve gotten farther than I anticipated,” says founder and CEO Brian Shin. For each of the past two years, the company has had greater than 300 percent revenue growth, he says.